My new obsession – analog in a digital world! Have you heard of Bullet Journalling? Well it’s changed my LIFE! I love working online, I love Evernote, I love all things tech – but I miss pen and paper! I also miss just simply being able to write stuff down whenever I want. Bullet Journaling was developed by Ryder Carroll and is – in my opinion – the best thing since sliced bread! 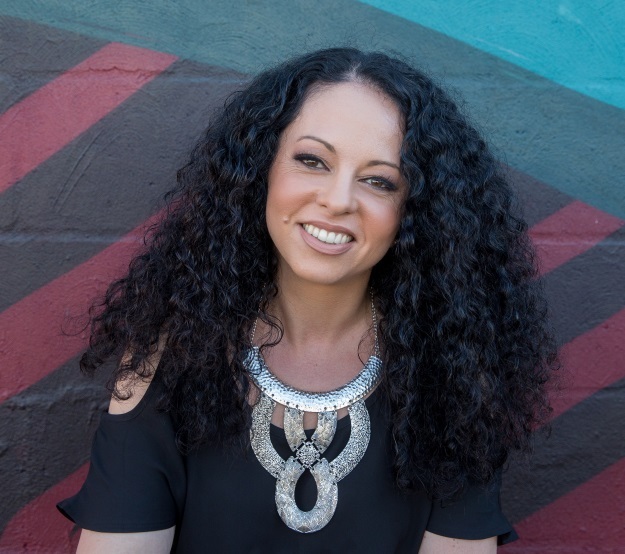 If you’re anything like me and go from planner to planner, from calendar to calendar, from system to system – yet have never found one that’s just PERFECT – well here you go! 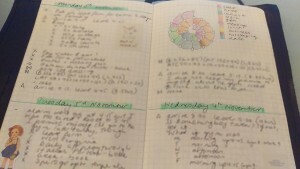 Bullet Journalling is PERFECT because you tailor it to yourself! 100% It’s genius but simple solution. To set up your journal – grab any blank notebook. Yep – any. I’ve got a Moleskin Evernote book, and I ordered a leather cover from a lady in Italy who handmade it to my specs. Completely unnecessary to have this, of course, but I love it and it keeps my book fresh, and holds my pen too! Create your first ‘spread’ – essentially just 2 page. That’s your ‘Future Log’. I divided the pages into 3 equal parts (i.e. total 6) and labelled each part with the names of the next 6 months. When a plan that’s far in the future comes up, write it in here. Then, on the next spread – (again – a spread is 2 pages) – create your first month. You can see here that I’ve labelled the left hand page, row by row, with the dates and with the first letter of the day of the week. 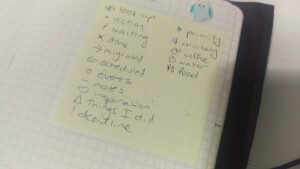 On the right hand page – I copy/paste any high level tasks for the month (from my Future log) and also jot things down in there that I know I need to do on that month (but when I’m not sure of the particular date I want to do them). 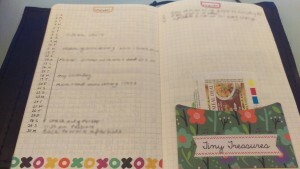 Each day – simply jot down whatever you want! I write in my to dos, my accomplishments, my work timings, I track my gym activities and calories – quite simply – anything! The trick is in the key. I created my own key (see the post it note pic) and use each key item as a visual indicator for each item. For example, an action/to do is a ‘dot’. If I’m waiting on someone else in relation to that to do – I draw one diagonal line. Once I receive whatever I’m waiting for, I draw the other diagonal line so it’s now a cross – with cross meaning ‘done’. If I don’t get to an item that was on my list – I write the item in my daily log the next day. and I draw a right-facing arrow on the original instance of the item so I know the task was not forgotten, simply migrated. A left facing arrow means that I’ve moved the item back to the Monthly Log or the Future Log for scheduling at another time. That’s it, really! Jump onto Pinterest or Instagram and research Bullet Journals – your life will never be the same again!